At first, Bob Moog didnt think of his synthesizer as a total solution for the musician. He once famously said, There was never a notion that a synthesizer would be used by itself for anything. He pictured it as another piece of equipment in the traditional electronic music studio. But as soon as the first modular systems were available, musicians from many genres began to think of the Moog as standalone musical instrument for music as wide-ranging as commercial jingles to experimental classical music. Curiosity about the Moog Synthesizer grew quickly as the instrument began to appear on commercially available recordings of popular music in 1967. In my project to archive every early recording of the Moog Modular Synthesizer, I am often asked to name the very first recordings. There seem to be recurring discussions of this online, so I thought it would be worthwhile to document what Ive discovered while archiving the recordings. My list of the first ten commercial recordings of the Moog Modular Synthesizer includes both single (45 RPM) and long-playing (33-1/3rd RPM) vinyl recordings. The release dates have been corroborated by multiple sources, including one or more trade publications from the time, the US Copyright Office, and contacts with the artists, producers, and engineers themselves. I do not use dates found in Wikipedia. The images shown for the original album covers and labels (for singles) are from my personal collection. One of the joys of this research is making new discoveries but also fine-tuning and clarifying the facts. Music research, like scientific research, is often about the detection and correction of error. I invite readers to let me know if they are aware of any other possible Moog recordings from this early period or if they have additional information that might improve the accuracy of this information. One cant help but notice that nine of the first ten Moog albums had one person in commonmusician Paul Beaver. By late 1966, he and Bernie Krause had pooled their funds to buy a Moog Modular of their own. Beaver was designated as Moogs West Coast Representative and together, he and Krause operated a company called Parasound that provided consulting, recording, and production services using the Moog Modular and other instruments. Beginning in April of 1967, he and Bernie were recruited to bring the Moog Synthesizer to a variety of recording sessions. These first Moog productions from the April 1967 time-frame began to appear on vinyl by May and June 1967. Another burst of activity occurred after Beaver and Krause set up a booth to demonstrate the Moog at the Monterey Jazz Festival in June 1967, leading to several sessions with rock groups including the Doors and the Monkees. By January, however, you still only needed ten fingers to count the number of records featuring the Moog. I give you, a list of the first ten Moog records. 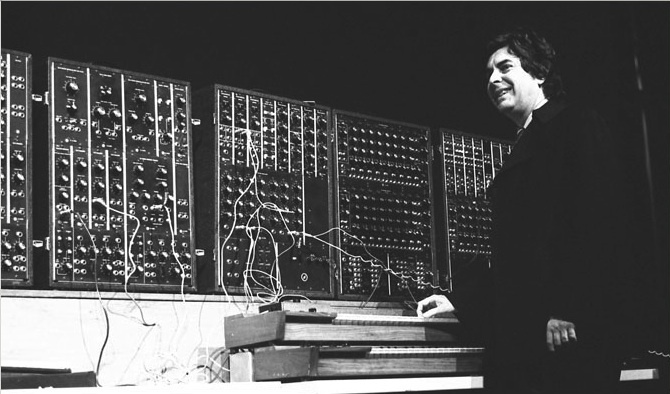 Paul Beaver with Moog Modular, 1968. LP, Elektra EKL-4009. Release date: May 20, 1967. Moog programmer: Paul Beaver. Recorded in Los Angeles in late April 1967, with Paul Beaver credited on the Moog. [i] This is the famous session for which composer-arranger Mort Garson and producer Alex Hassilev called in every oddball instrumentalist in Los Angeles to record a musical mind-bending trek through the astrological signs. The music is a blend of pop rock with spacey effects and a melodramatic spoken essay regarding the values of each Zodiac sign. The Moog has a prominent role on the album. Rather than being limited to just spooky sounds, Beaver contributed a veritable clinic of fundamental Moog modulations, from soothing melodies and textures to sharply percussive interactions with the other session musicians. Must be played in the dark, are the instructions printed in purple on the back of album cover. This wacky mashup of musical styles was much hyped as a secret project prior to its release. Although the Moog Synthesizer is not mentioned in the liner notesBeaver is credited vaguely with electronic instrumentsthis was not only the first commercial release of a record featuring the Moog but also the first to chart. [ii] So heady was this experience that only a month later, in June of 1967, Garson and Hassilev announced the formation of a production company to specialize in recordings of electronic music. We are living in an electronic age and electronics is changing the world, remarked Hassilev. [iii] Two other noteworthy musicians who played in the session were Wrecking Crew drummer Hal Blaine and mallet instrument master Emil Richards. Perhaps not surprisingly, these two gentlemen were also responsible for recordings no. 2, 3, and 6 on this list. Mort Garson went on to become a terrific Moog producer and programmer himself, creating some of the most beloved Moog albums of all time. 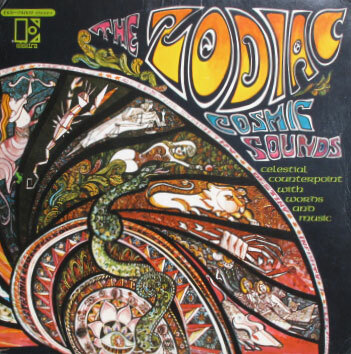 These included an audacious follow-up to The Zodiac Cosmic Sounds consisting of twelve individual albums, one per astrological sign, released by A&M in 1969. Single, Dunhill 4091. Release date: June 3. 1967. 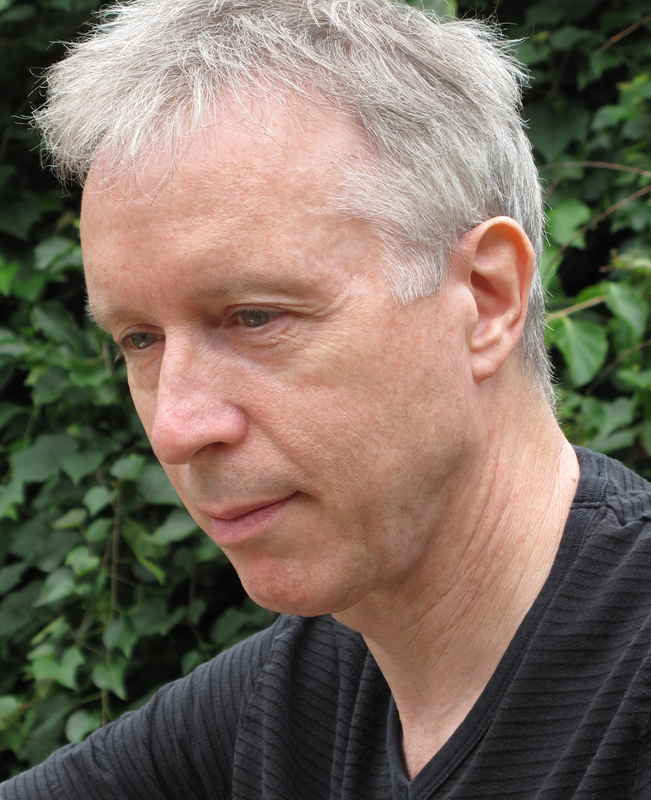 Moog programmer: Paul Beaver. 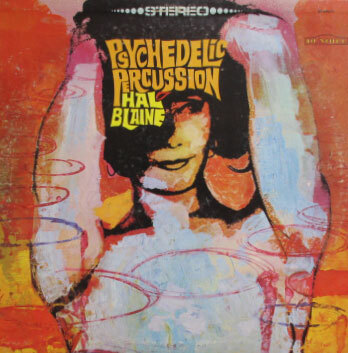 This is a single from Blaines trippy Psychedelic Percussion album (no. 6 below); a case where the single achieves date priority over the album from which it was taken. 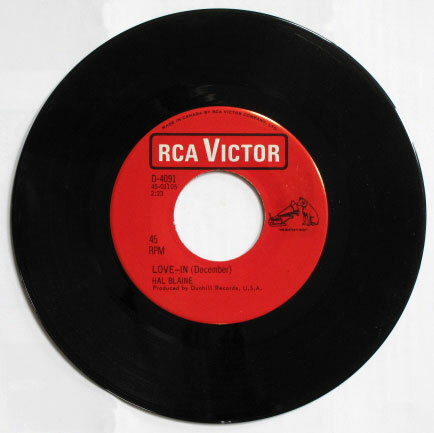 Accordingly, this is the first 45 RPM single release to feature a Moog. Blaine is the legendary session drummer who played for everyone from the Beach Boys to Frank Sinatra and the Carpenters. On Love-In, Blaines rocking drums are accompanied by Richards madcap mallet playing and a spooky Moog melody line in the background. Wiggy is more mysterious, with a variety of bangings and clangings plus Moog tones bubbling in the background. LP, UNI Records 73008. Release date: June 1967. Moog programmer: Paul Beaver. 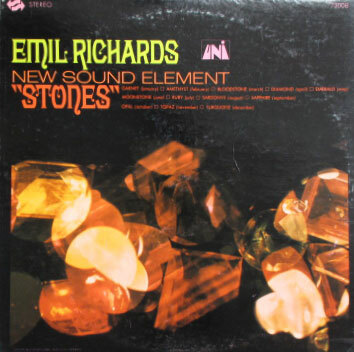 Emil Richards, New Sound Element–Stones, with Richards assisted by Paul Beaver. Produced by Marshall Leib. Richards is another well-known Los Angeles session musician. Although Paul Beaver set-up the Moog, Richards was actively engaged in experimenting with the synthesizer for this session. Richards told me that, Beaver assisted as programmer for these sessions. I played the synthesizer and all mallet instruments on all twelve tracks.[iv] This is the first commercial recording to credit the Moog Synthesizer by name. This, too, was a concept album, in this case revolving around twelve birthstones. Songs had titles such as Garnet (January), Emerald (May), and Opal (October). The music is decidedly jazzy, so one could call this the first Moog jazz recording. Side musicians included members of Richards jazz combo, New Sound Element: Dave Mackay (piano), Bill Plummer (bass), Mike Craden (percussion) and Joe Porcaro (drums). The album was both an experiment in rhythm patterns and also featured mallet instruments using a 22-tone octave. The Moog sounds right at home in this sonically daring environment. LP, Sidewalk ST 5908. 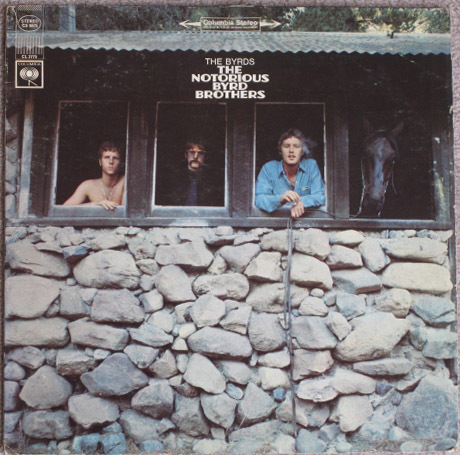 Release date: September 9, 1967. Moog programmer: Paul Beaver. Single, Sidewalk 929. Release date: September 16, 1967. Moog programmer: Paul Beaver. Single from the soundtrack to The Trip. 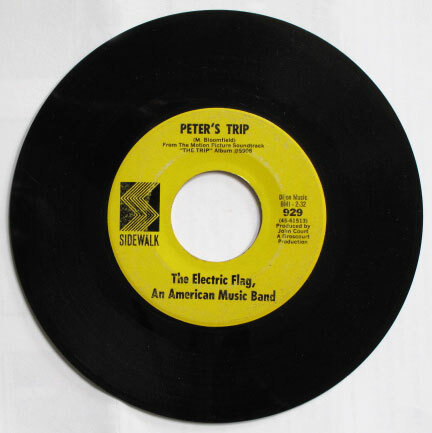 Some Moog sounds can be clearly heard in Peters Trip (a buzzing bass line, chirping, and a recurring sliding tone), although the synthesizer is mostly buried in the mix on this track when compared to some of the others on the soundtrack to The Trip. The flip side of this single, Green and Gold, has no Moog. LP, Dunhill 50019. Release date: September 30, 1967. Moog programmer: Paul Beaver. LP, Elektra EKS 74007. Release date: October 9, 1967. Moog programmer: Paul Beaver. 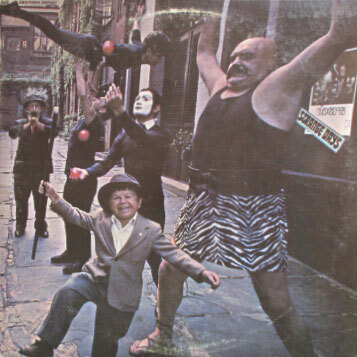 The Doors, Strange Days (September 7, 1967), with Paul Beaver using the Moog to modify Morrisons voice on the title track. Manzarek recounts in his own book about the Doors the session with Paul Beaver, who was demonstrating an endless variety of sounds to the group, had trouble going back to reproduce them again. So the band would stop Beaver when they heard something they liked and record it. The Moog Modular played only a minor role on this album, used primarily to modulate the voice on Strange Days, with Jim [Morrison] striking the keyboard as he sang each word to trigger the patch effect. [v] The track Horse Latitudes features what might be modulated white noise from a Moog. No singles were released from the album that featured the Moog. 8. 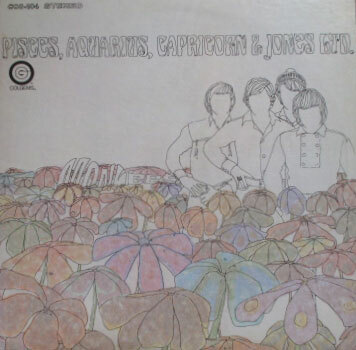 The Monkees, Pisces, Aquarius, Capricorn & Jones Ltd.
LP, Colgems COM-104. Release date: November 11, 1967. Moog programmer: Paul Beaver. The Monkees, with Micky Dolenz and Paul Beaver on Moog. The Moog is heard on two tracks, Daily Nightly and Star Collector. Although not literally the first rock record to feature a Moog, this Monkees album is probably the most-often cited example of an early Moog because so many people heard it. The Monkees were enormously popular at the time and one episode of their weekly TV show even featured a sequence with Dolenz playing the synthesizer, or at least pretending to while the prerecorded Daily Nightly played. The record is a lot of fun because the Monkees succeeded in using some of the most spacey sounds they could conjure within the context of a pop song. Single, Vanguard 35054. Release date: December 9, 1967. Moog Programmer: Jean Jacques Perrey and Gershon Kingsley. This is an early single release from the marvelous Kaleidoscopic Vibrations album (February 1968), the electronic pop collaboration between Jean Jacques Perrey and Gershon Kingsley. Notably the first Moog record not programmed by Paul Beaver or produced in Los Angeles. LP, Columbia CS 9575. Release date: January 27, 1968. Moog programmer: Paul Beaver. Roger McGuinn, Paul Beaver, and producer Gary Usher on Moog. Usher played the Moog on Space Odyssey. Paul Beaver played on the track, Natural Harmony. Moog Raga by McGuinn (played by Paul Beaver) remained unreleased until the 1997 digital reissue of the album. This album was another great blend of Moog and rock, using the rock song format with a mix of tastefully crafted electronic music. An early single from the album was released in October 1967, featuring “Goin’ Back” b/w “Change Is Now, but neither track used the Moog. Paul Beaver was a busy guy in 1967. Some of his most interesting work for the movies may not have actually made it onto a soundtrack record release at the time. A case in point is the Moog music he did for the John Boorman film Point Blank, the background musical score for which was copyrighted September 12, 1967. Beaver provided electronic sound effects and music. I have heard a reissue of the original soundtrack but have not been able to confirm that an LP of this music was actually released in 1967. The Moog is used extensively throughout the film for music and effects. On the soundtrack reissue, the Moog is heard prominently on Trackdown, At the Window/The Bathroom, and Chris Scores. Beavers use of the Moog for this soundtrack was exceptionally musicalnot merely spooky sound effectsand lent great atmosphere to this modern noir cult classic. If I am ever able to confirm that this soundtrack was released in 1967, it would surely make the top ten list of first Moog recordings. Still, you can enjoy a DVD of this great movie and hear Beavers Moog contributions throughout. To read the first installment of this blog series exploring how technology and musical artistry influence one another, click here. Click here to read the third installment of this blog series, Not-a-Moog Recordings which are frequently mistaken for Moog recordings. ***All images provided by Thom Holmes. [i] Krause, Bernie, Into a Wild Sanctuary, Berkeley, Heydey Books, 1998, p. 47. [ii] The Zodiac Cosmic Sounds reached a high of no. 193 on the Billboard album charts on September 30, 1967, spending a total of nine weeks on the chart. [iii] Billboard, June 24, 1967, p. 8. [iv] Emil Richards, personal correspondence. [v] Manzarek, Ray. Light My Fire: My Life with the Doors. Berkeley, Berkeley Trade, 1999. p 256-257. 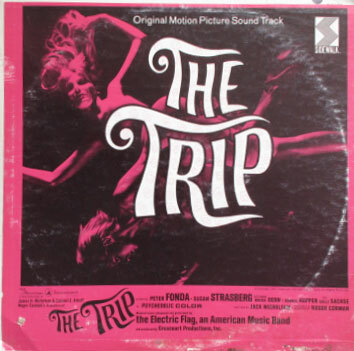 Pisces Aquarius Capricorn & Jones Ltd.
FYI: The Trip soundtrack was recorded in late april/early may 1967, probably right after Zodiac: Cosmic sounds. Re the soundtrack to Point Blank;; I’m pretty sure it wasn’t released on vinyl back in the day. Anyways, I’m not so sure that Beaver used the Moog on that score. I just listened to the CD again and to my ears the electronic parts could just as well have been made with a Hammond Novachord (Beaver had several modified Novachords) which was sort of a primitive polyphonic synthesizer. I haven’t seen the movie so I don’t know if the Moog was used for sound effects though. Bernie Krause once told me that Beaver usuually worked on the music side of things while he worked on special effexts. 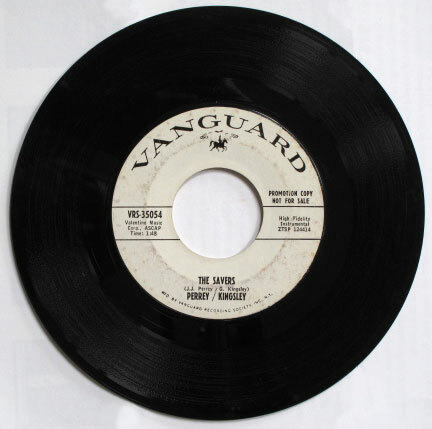 Actually, Perrey & Kingsley’s single “The Savers” came from their 1967 Vanguard Records album “Kaleidoscopic Vibrations”. It clearly states on the LP record label that the copyright date is 1967. Records in the Moog Archives show that Perrey & Kingsley had the SECOND modular Moog instrument ever sold — sold to Carroll Music, who was Perrey’s New York sponsor. Nice work, Thom  but I don’t hear any Moog on Electric Flag’s ‘Fine Jung Thing’. Could you point out where it appears? There was a version of this with a female narrator- I can’t seem to find it- can anyone help me with that? I’m looking for “Cosmic Sounds of the Zodiac” – but the version I used to have was w/ a female narrator- does anyone know where I can get that? Synthesizer Recordings – The Bob Moog Foundation <Liked it! Regarding the Monkees’ Pisces, Aquarius, Capricorn & Jones Ltd. album, the song Love Is Only Sleeping also has some Moog accompaniment in it. This was a fascinating article, which gave a good insight into early uses of moog synthesizers, and it shows their transformation from gimmicky uses to more serious applications. I’m surprised that Jazz musicians didn’t use Moogs on records first though? Secondly, although a record may have a copyright date, the likelihood is that the music was actually recorded way before the release date. So I will stick my neck out and say that 1966 was a more likely year for some recordings?? ?